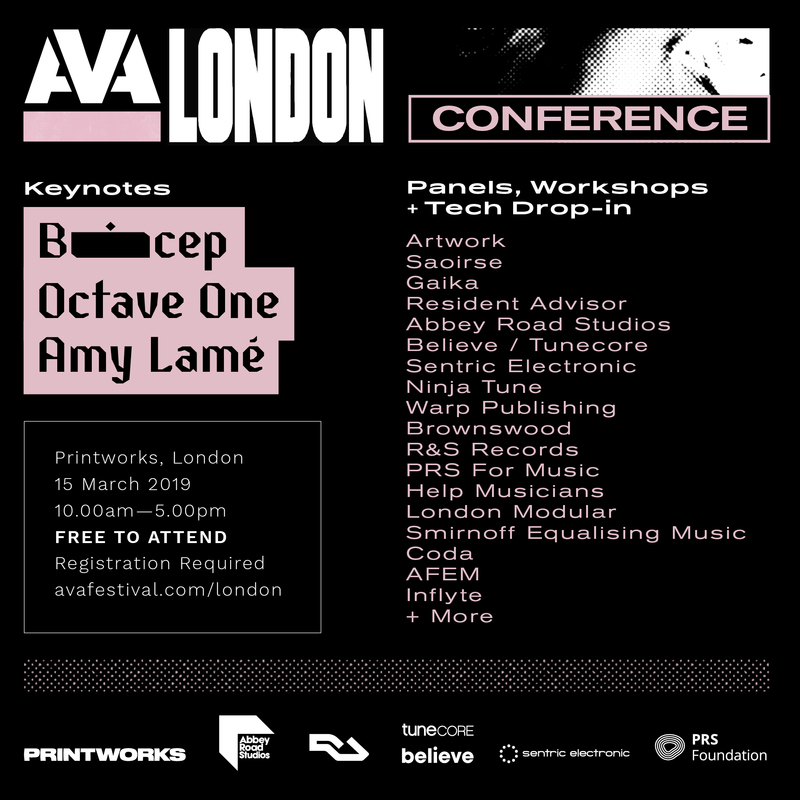 Belfast festival AVA will next month host a free day-long conference at London's Printworks featuring Bicep, Saoirse, Artwork and more. The conference will see the festival join up with a number of figures and organisations from across the dance music industry to pull together a programme of panels, interviews, workshops and technology discussions. Bicep will return to Printworks following their run of sold-out live shows at the venue late last year for a rare keynote discussion which will cover their debut album, and their translation of that record into a live show. London's night czar Amy Lamé will also be present, discussing her role and the impact it has had on London's nighttime industry. Octave One will give a closing keynote on their career and how the scene has shifted since their early days. Other highlights include a discussion with Artwork and Saoirse on their respective DJing techniques as well as the important subject of health as a touring DJ, while representatives from Warp Records, Ninja Tune, booking agency Coda and PRS will look at the subject of artist development in a panel discussion. The day will be rounded out by a nighttime party featuring DJs such as Mall Grab, Hunee, Joy Orbison, Job Jobse and Or:la. You can register to attend the free conference here and find tickets for the closing party here. The lineup for this year's AVA festival in Belfast was recently announced, and will feature Honey Dijon, Rebekah, Blawan and more. Catch up on a number of Northern Ireland's DJs and promoters telling us why it's one of the best places to party here.